Makalu is the most spectacular mountain with the acute pyramid shape with the four sharp ridges. Be the Backpacker team of expedition and scale this neighboring mountain to the Mount Everest Just 22 km east of Mount Everest & Situated between Everest and Kanchenjunga, on the Nepali-Tibetan border lies the Makalu Mountain. Its size alone is impressive, but its structure, that of a perfect pyramid with four sharp ridges, makes this mountain all the more spectacular. It has proved to be not only a beautiful peak but also challenging and potentially dangerous mountain climb, as only five of its first sixteen attempts were successful. Previously, it had been admired and studied by several Everest parties, but like so Mt Makalu route map many other giants in the Khumbu region, it was not attempted until the summit of Everest had been attained in 1954. it was first climbed by the French in 1955 Our expedition well trek from Tumlingtar, just above the ARUN River to Makalu Base Camp at approximately 5100 meters. Well ascend via the Northwest Ridge establishing 4 high camps on the mountain. Our strong professional high altitude climbing sherpas will fix ropes as required. Depending on our fitness, well be moving up and down the mountain several times, acclimatizing and stocking the higher camps. 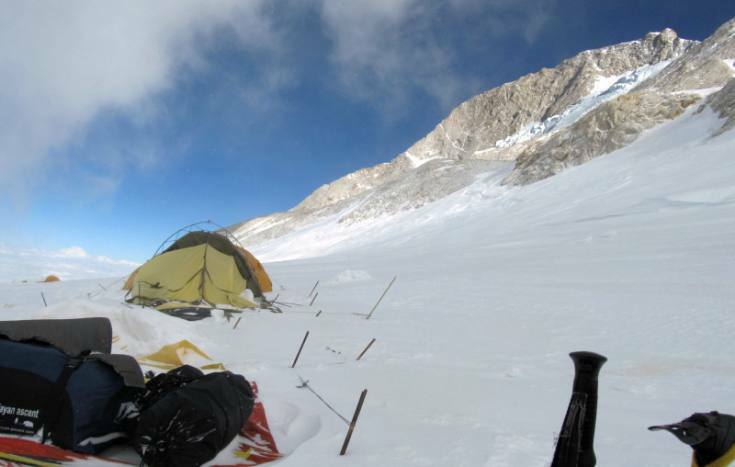 This expedition is fully supported with all the base camp & high camp services. The team work is most important factor to scale the summit of Mt Makalu. Chomo Lonzo (7,818 m/25,650 ft.) is a subsidiary peak of Makalu, rising just north of the higher summit, separated by a narrow saddle Itineraries. Peak permit, all govt. taxes & garbage deposit. 6 (four) nights hotel in Kathmandu on BB basis. Northface jackets/sleeping bags for BC, if required.